Wolves v Newcastle – Match preview. | NUFC Blog. Wolves v Newcastle – Match preview. Molineux - Hungry like the Wolves? Newcastle hit the road again this weekend as they return to Premier League action against Wolves tomorrow. It’s our first regular Saturday 3pm kick-off of the season, and it is a match that I will be in attendance for. Newcastle will be full of confidence after the 6-0 mauling of Aston Villa last weekend, but they will also need to be aware that if they want to take anything out of the game at Molineux then they will have to fight tooth and nail for it. Wolves is not an easy place to go to nowadays, if it ever was in the first place, and they will be the favourites for the win in the eyes of many. Both Chris Hughton and Mick McCarthy will bring their respective A-Team back into the fold for the match. They ain’t no fools, and they know that staying in the league is the main priority for both teams this season. Both managers fielded shadow side in the Carling Cup in midweek, although Wolves had to bring on some of their senior players as their midweek game went to extra time. Wolves will be without Steven Fletcher although he isn’t too far away from being recalled to the team after recovering from injury, which should mean that Wolves will have a front pairing of Sylvan Ebanks-Blake and Kevin Doyle for the match against Newcastle. Wolves – Hahnemann, Foley, Elokobi, D. Jones, Berra, Craddock, Jarvis, Henry, Ebanks-Blake, Doyle, Ward. Newcastle will not see a debut from Cheick Tiote this weekend as he won’t meet up with his new team-mates until after the international break. Sol Campbell is still working his way towards match fitness and won’t feature whilst Steven Taylor, Danny Guthrie, Xisco, Dan Gosling, Danny Simpson and Leon Best all still remain sidelined. Newcastle – Harper, Perch, Coloccini, Williamson, Enrique, Routledge, Smith, Barton, Gutierrez, Nolan, Carroll. Molineux hasn’t been a happy hunting ground for Newcastle over the years and we have lost 29 of our 43 games at the home of Woverhampton Wanderers. In fact our last win at Molineux was over 20 years ago – a 1-0 victory back in April 1990. Our last match away at Wolves ended in a 1-1 draw way back in 2003, a certain Alan Shearer sparing the blushes on that occasion. A new number nine will be hoping to have the same effect this time around. For those who are going to the game, I will be in a pub called ‘The Blue Brick’ from around 1pm onwards. It is attached to a Premier Travel Inn and is a couple of minutes walk away from the train station. From there it is around a ten minute walk away from the ground. Having been on various Wolves fans sites over the week, that seems to be the pub that has been pointed to me where away fans are welcome. Newcastle will be high on confidence, but Wolves are no pushovers and I expect a tight game ending in a narrow defeat for us. Date – Saturday, 28th August, 2010. 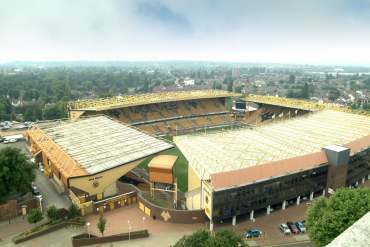 Venue – Molineux Stadium, Wolverhampton. Newcastle v Manchester City – Match preview. Birmingham City v Newcastle United – Match preview. 2-0 the Toon. I agree with you, Nima. Us Southerners (at least the ones from Nashville) always know better than you damn Yankees lmao jk. My family is from Trenton NJ, so I don’t have much room to talk. Though my MOM’s family is from Mississippi, so yeah lol. Would definitly take a point tomorrow like. If we play the way we did last week we could take 3 but as ridiculous as it sounds, Wolves will put up a far tougher test than Villa and will be alot harder to break down. I’d be over the moon with 4 points from Wolves and Blackpool. Also, looking good on the Ben Arfa front which I’m surprised about. Got bored with it all and eventually thought the deal was dead in the water. As for Hughton earlier, did he give the standard sly grin whilst denying everything involving Keane?..Obviously he said there was a connection etc, but it didnt sound like he actually gave any indication as to whether we’re interested or not. I’ve always said I wouldn’t have Keane here but i could probably be swayed, lol. My bad, bro, I didn’t see your reply haha! Nashville is about 5 hours from St. Louis. Nice town like, STL, but not as cool as nashville. A tattoo convention, huh? Didn’t know you were into that like. 1-0 toonsy, you dissapoint me. Be positive. Thanks for the postivity, mate! Just been on official site , if xisco is injured , why is he training with the team in the photos .hmmmm wonder if he going out on loan again. got to be dodgy place if big dave was there. What’s this I hear about Keane and Arfa Daley? Stuart-Benny has been spotted in Newcastle again, photographic evidence on .com, lol. Theres also been some report on Marseilles site saying they expect him to be a Newcastle player within the next few days apparently? A rumour started to circulate that Keane was in Newcastle for a medical earlier the day and Hughton was asked about it. He responded with a smirk and said we’re obviously going to be linked with players like him at this time in the window but he knows Keane personally and there is a connection due to his time at Spurs. Dont really know what he meant but there you go! its the next pic on from the link! Thats not my FB! Toonsy you disappoint me. For shame. guess i was a tad too late with that lol! i would happily take a draw the morrow…. i honestly cant see us winning. i reckon 2-1 wolves, what i seen the past few games… rangers man u and villa is that we play way too high. like i said id take a draw! going to get some points on fantasy footy this week i need them! April 1990, the last time we won there was the exact month and year of my birth… good omen? Err, lads it’s wolves. ManU put 3 past us, Wolves won’t do more than two. Manchien from chelsea, Kevin Doyle and Kightley are the only ones to worry about. Ebankes blake couldn’t score for toffee in the PL last year, he’s above his level. Their keeper is ok, so it won’t be a rout. I see the club have applied for planning permission for the new signs at the stadium, promoting the stadiums sponsor. Good, innovative move by the club, bringing in extra revenue. Could never understand why you need planning permission for bloody signs! What do the journal know? They and the chronic haven’t been privvy to anything since ffs left. Stuart > Good, innovative move by the club, bringing in extra revenue. he was spot on yesterday mind. so i’ll stick buy him untill bull shiiiit comes out!!! So the way I see it is that Arfa Daley will sign but the Keane rumour is a complete joke, just cannot see that one happening. Aye to be fair Hughton didn’t dismiss the Keane rumour. If anything he fuelled it by mentioning the fact he has links with Spurs and knows Keane on a personal level. We might want him but I don’t think it can happen, what with NUFC wanting Spurs to pay half his wages and I don’t think they’ll do that. Kaka and messi were getting some scran today in ‘Munchies’ in the Toon according to some nobody on twitter so it has to be true…..doesn’t it?? Stuart-I also considered the fact that Defoe needs an op, will be out for a month or so and there’s talk of Peter Crouch going elsewhere, I dont think they can afford to let him go. In saying that there was reports of them going after Fabiano today, they’ve been around all summer but they can offer CL football to him I suppose. RICHIETOON/DAVE thought you might like this. Gui Assulin? The young lad from Barca? What planet are you on! I heard Barca have a £30m price tag on him, even a loan deal is unrealistic. Ryad Boudabouz from Sochaux has been linked but don’t know if there is any truth. As for the Wolves game, 2-1 to the Toon and another yellow for Perch up against Jarvis! saltysellars I hope you worm yer dog as the french worms are bad :) and I meant to ask what is the average price for a signed Toon shirt ? yeah mate i know it sounds almost pervy but its worth more if its dirty and has the sweat of a strapping young man…..
coozy what ginola shirt mate? just a regular replica,any name/numbers? steve i bought it of the xisco kid,he has a whole collection of strapping young mens clothes in his locker at sjp!! Well, it looks like we’ll have to wait until Monday to hear whether or not we signed Benny to the Toon. Although, I do recall that they announced the signing of Tiote during the Villa game, so who knows? 2-1 the Toon, on the morra. LOL imagine that!! Insomnia was such a tool. OHurley….aye I’m shocked,he’s usually such an agreeable fella. I think I have found our mystery player photographed today at the training ground, we were linked with him way back in July, he is a free agent and plays for Lens. He seems to want to move to England after turning down a contract with Lens. When you compare to the pic Jay put up earlier I think we have our man! wey man, it looks like CH might be putting a canny team together ! Can I just be the first to make the announcement? Hatem Ben Arfa has signed on loan – Official! Well done Stu…we heard it first through you !!! Planning on being announced tomorrow. whey Ed’s craigcoozy is saying Ben Arfa,Boyatta,Keane and Assulin in Toon today.Ben Arfa announced 2mora after game.Keane and Assulin prob Tues!! Anyone listen to the 3 legends tonight? On the lash? Another English euphemism for drunk? Stuart someone’s beaten you to it. Comment above mentions a journalist working for the journal already posted on twitter that he had signed. Always listen to them, it’s my dog walking material. get them all signed up Richietoon….!! Howay the lads, hopefully we’re on the ,arch again…or I’ve had too much weissbier ! !…maybe both..
Benjani to Blackburn! First panic signing! No wait…Pompey offered Kanu a 3 year deal! HAHA ya big green leprechaun you! Yeah, you’re right. Doesn’t sound quite right, does it? Nah, I think he was winding Bernie and Micky up. ahh thought he might have just been on the pop again. ya could be right ice £150 for b&b and £70 for match tickets for Everton. Guys – just back from my anniversary meal at Jes Dene House Hotel and HBA IS THERE. He was getting out of a car when we arrived, sat in the foyer for a while – he was in a party of about 5 which included a photographer – they all seemed to be speaking French. Later they came into the conservatory bit of the dining room to a table discreetly away from anyone else. They were just being served their first course as we were finishing. Clearly staying the night. Don’t know who the others all were – not sure there were any NUFC people involved. LoL, they must keep seaton sluice stocked pretty well, eh? batty,ye away to kip already? Yeah according to reports it is Boukhelifa, 19 year old attacking midfielder. One for the future if we get him. Don’t really want Assulin, bit of an ego player but maybe CH could sort him out. Good old wikipedia! Raul Meireles has signed for Liverpool and will ‘unfortunately be part of a team that gets relegated’ Haha! Don’t you think Liverpool nowaday just look like us when we relegated 2 years ago. Owner put the club on sale, got some interest too many rumors but nobody can buy it. Players want to leave with no loyalty, Dressing room problem with hopeless manager. But ” Liverpool won’t relegate and never be near that, They’re too good to relegate ” did I heard it before ? classic right ? However I think they’re good enough with Torres and Gerrad in their team sheet. OK back to us Hopefully we will be OK for tonight. So…you think that if Gerrard and Torres weren’t there, Liverpool would or could be relegated? Both Gerrard and Torres are world class player, How do you think if they miss both of them ? Especially Gerrard is heart of their team. (I still remember he destroyed us last 2 season) I don’t see any players who can replace him. Mascherano leave, Carrager ? Kuyt? N Gog ? LUCAS ? oh no. I think they will face struggle in PRM for sure. Maybe not relegation but… that’s football. Anything can happen even I don’t want to see any big club will face the doom the same as us last 2 season again. However It just my opinion. Don’t mention too much about them, We have important game against Wolves tonight. HWTL ! Ginkoh – I would love to see Liverpool relegated. I would love to see them go out of business never to return again. I wul love someone to remove Anfield from the face of the planet. Won’t happen though. As much as they are average without Gerrard or Torres, I still think they would have enough to survive the doomsday scenario. That said, this season is improtant for them. I feel it could be a last throw of the dice between retaining “top club” status or mediocrity. WE MUST GET OUR BLOODY REVENGE,FOR THE START OF NUFC Humiliation from that 5-1 Match two seasons ago. I think from that match onwards,the WHOLE NUFC burst. Gerrard was almost sentence to jail due to excessive celebration of that win. grrrr…. Actually not really a revenge,but a prove instead. I was totally embarrassed by that match that day.